With more than 50 years’ experience in the local and international flooring industry, Denver Coleman, Chairman of Polyflor SA, answers questions posed by installers, architects and readers. In this issue, he discusses four common environmental questions and misconceptions related to Polyflor’s vinyl flooring products. Softening of vinyl is important to make it the flexible and versatile product that it is. Plasticisers can be added to soften vinyl flooring and phthalates are a form of plasticiser. However, the majority of Polyflor products use non-phthalate alternatives as softeners, including bio-based plasticisers. Those products that do contain phthalates include only ortho-phthalates, which are not a concern to human health. Harmful phthalates do exist and can be found on the REACh list of banned substances. Polyflor does not use these phthalates or any other substances which are harmful to human health and feature on the REACh list. 3. What about VOC emissions? 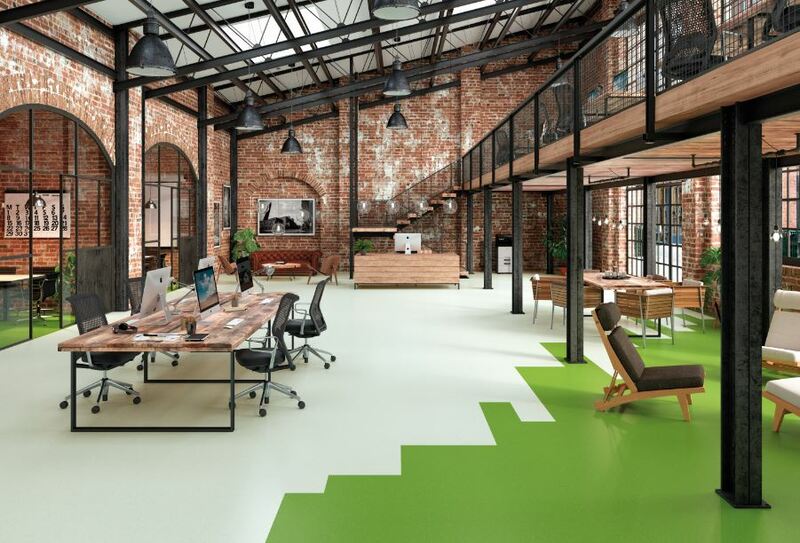 All Polyflor flooring ranges have passed key international environmental and safety standards and we continuously look to reformulate our ranges to ensure their VOC (volatile organic compound) emissions are kept to the lowest levels possible. Polyflor ranges have undergone many independent and rigorous VOC tests and have approval certification for the following: AgBB; Swedish B.P.D (FLEC test); Finland M1 test; GBCA Compliant (Global GreenTagCertTM approval); Afsset A+ and FloorScore. The most recent test method by Eurofins, is “Indoor Air Comfort”. This test method is the most comprehensive and stringent within the industry worldwide, and tests for all known emissions. Polyflor products tested to date have achieved Indoor Air Comfort Gold. Dioxins are toxic chemicals that occur as an unwanted by-product of some chemical reactions during manufacture (of any product using heating or thermal processing) and incineration. Modern day clean PVC is not a significant contributor of dioxin emissions. The annual dioxin concentration of the entire UK PVC industry is less than 140mg per annum, whereas a single tug boat in the North Sea emits 70mg per annum. Power stations and the steel industry are the biggest man-made producers of dioxin emissions whilst the biggest known sources of dioxin emission are the burning of wood and bio-fuels. Moreover, dioxins occur naturally in the environment, for instance, with natural fires and wood biodegradation. Polyflor follows the strictest industry regulations ensuring no harmful substances, such as formaldehyde, lead, cadmium, mercury or hexavalent chromium are included in our vinyl. All Polyflor products are REACh compliant and conform to health and safety standard EN 14041:2004 via an E1 Declaration, which confirms that formaldehyde is not used in any Polyflor vinyl products. The company’s vinyl flooring products are thoroughly researched and tested to meet all international health and safety standards, which are even more stringent than the standards in South Africa. Environmental impacts are minimal across all aspects from materials, production, installation, during use to “end-of-life”. For more information, visit www.polyflor.co.za, email marketing@polyflor.co.za or call +27 (11) 609 3500 to speak to Blythe or Wendy.